Here’s the Family Garden Life story from Becky herself. 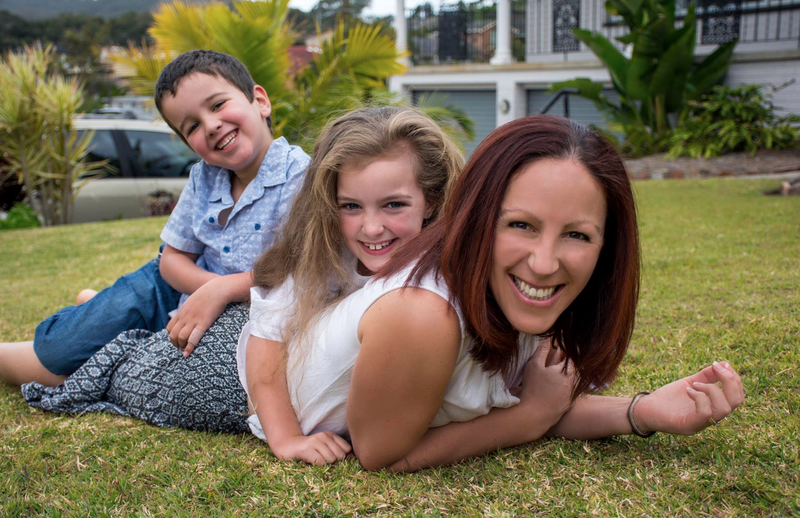 In June 2018 Rebecca and I were honoured to be featured on Channel 7’s Kochie’s Business Builders about the success and growth of her business. I’m a wife and mother of two kids, one aged 5 & the other 7. Isn’t it weird how you describe yourself as a wife and mum before anything else. I’m also a passionate gardener and garden cook. I find balance in our garden and without it I would be very lost. I’m also very resilient and determined in everything I do. It must be my German background. I have come from a career in the Pharmaceutical Industry. I worked for a big multinational company before stepping back to raise my kids. Still working from home in a subcontracting role, I found myself very complacent and I felt I had lost my drive to be successful. With my current work situation changing in 2017, and my youngest off to big school this year, I felt a bit of Becky coming back. I vaguely remember when my name went from Becky to Mum, and now it was time to get it back. When you work from home for such a long period of time, the benefits far outweigh the isolation. Well they do for me. The last thing I wanted was to return to an office and work 12 hour days again, that just wasn’t me anymore. My kids would suffer the most, after being raised with me always being there. The problem with what I do is you can’t do it part-time or casual. It’s 12 hours or nothing. So an online business was definitely what I wanted to do, but I had no idea where to start. It had been in my mind for over 12 months to transition to my own set up, but I just had no idea where to start. When I came across Business Jump, I think I made the decision within 24 hours. I knew a good thing when I saw it. Excited. It was everything I wanted and I couldn’t wait to get my teeth into it. I didn’t even hesitate on the decision because I knew I couldn’t do it on my own, and here was a business model that had it all. Why wouldn’t I take it on. If you hadn’t signed up with Business Jump what do you think you’d be doing right now? I seriously don’t want to even think about that, scary… All I can say is that in life there are forks in the road all the time. This is the 3rd fork in the road that has seriously changed my future. It has been a no-brainer for me. I personally don’t believe in 2nd guessing things. If you make a decision, you have to put 100% into it, give it your everything, and make it the best it can be. If you can back yourself up with determination and pride, you will make it happen..
What have you done differently because of Business Jump that you wouldn’t have done if DIY’ing? Black and white results. I’m guessing it would have taken me years to learn and work out an online business, and I would have had to earn an income as well. It’s all in the name, Business Jump gets you ahead. I would love to. 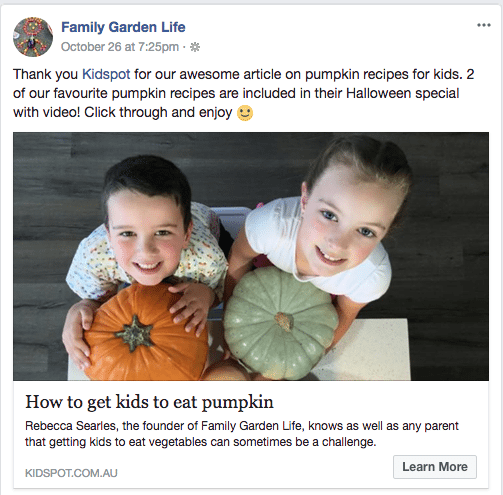 Family Garden Life is an online directory that encompasses everything to do with family gardening, home grown produce, garden kitchen recipes, garden fun activities for the kids and more. My Facebook page is a place for parents who value spending time in the garden with their family and the goodness of garden produce. Why did you choose Family Garden Life? Being able to mix something I love with my work is a dream come true. It’s something I find easy to write about, and it has already strengthened our family bond by doing activities together. Very excited, but I learned very quickly Rome wasn’t built in a day! It’s a steep learning curve I won’t sugar coat that, but I am hungry for Becky to come back, so it was very gratifying to re-skill and learn again. I personally put everything into my business. I didn’t get my Facebook following by working 20 hours a week. I wouldn’t know the exact hours, I simply can’t put it down. I’m very humbled by the positive feedback I’ve received from mums who want to engage their kids outside, and grow produce. So that is a big win for me. It’s one thing to get a tribe but to have a tribe engage as well, that’s awesome. My Facebook page has grown so fast because I have been able to achieve reach & connect with my target audience through Facebook ads. Businesses are jumping at the chance to list on my directory, which is a sign of huge things to come. I’m pumped. I plan on stepping back, build a small team to manage the day-to-day and possibly be deep within another online business. You can’t stop me now I’ve got a taste for it. If you want to be your own boss, run a business your way and take control of your life (maybe even get your name back like me), go for it. Not only make the decision, back yourself by throwing everything you have at it. If you want it enough…it’s here…just take it.